Americans eat too much sugar, but what should we eat then instead of sweets? Whether you gave up sweets for Lent or are trying to cut back as you are getting fit, trying to fight your sweet tooth can be hard. I like to think that my wisdom teeth used to keep my sweet tooth in line, but with the recent loss of my wisdom teeth now my sweet tooth seems to have taken over. Although the sweets tasted delicious, my body was not appreciative of me eating so much sugar. According to the University of California http://sugarscience.ucsf.edu/the-growing-concern-of-overconsumption/#.WqfJEejwZPY, the average American consumes 19.5 teaspoons of sugar every day that adds up to about 66 pounds of added sugar consumed in a year. They also claim that sugar causes the similar changes in the brain to those addicted to drugs and may be why we experience ‘cravings’ for more sugar. So we are eating too much sugar, but what should we eat then instead of sweets to satisfy our cravings? I wanted to share a list of things I have found that satisfy my sweet tooth but have more natural sugars instead of artificial sugars. Dried mango and banana chips are as sweet as candy! Forget peaches and cream, try grilling your peaches and then eating it warm with a drizzle of honey on top. Grilling pineapples also make them lose some of their tartness and become sweeter. As sweet as ice cream, but much more healthy. 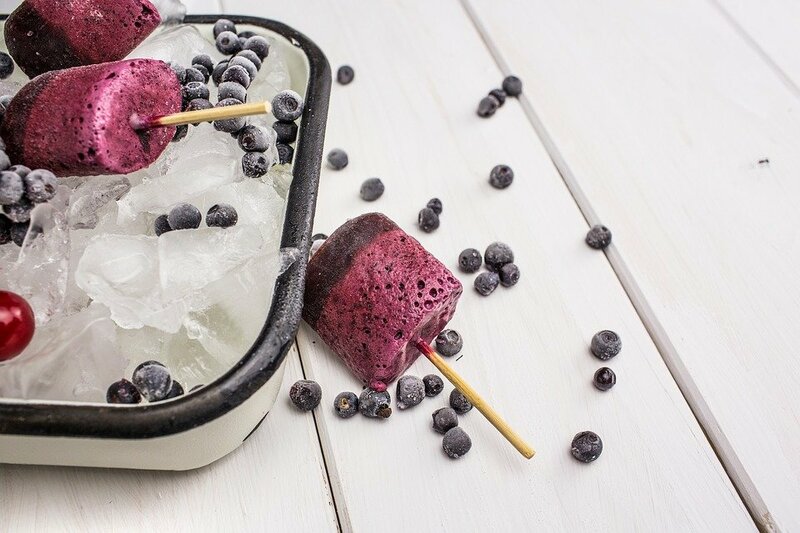 Try freezing your favorite yogurt with a stick through the lid to make popsicles! Think of frozen fruit like frozen candy bars. Blueberries and frozen grapes are easy to freeze, just rinse them then put them in a Ziploc bag in your freezer. My favorite is frozen bananas. If you like to eat the frozen bananas dipped in chocolate from the ice cream store, I recommend trying Nutella hazelnut spread on your banana for a healthier alternative to chocolate. With so much frozen fruit, consider also making yourself some nice smoothies. As long as you have a blender, smoothies are pretty easy to make! If you use frozen fruit, there is no need to use ice and you have more room for more yummy ingredients. I recommend just being creative, but there are many different smoothie recipes available on Pinterest. This tastes like a delicious parfait! Consider using frozen fruit for a colder treat. My favorite is vanilla yogurt, honey, and frozen blueberries. 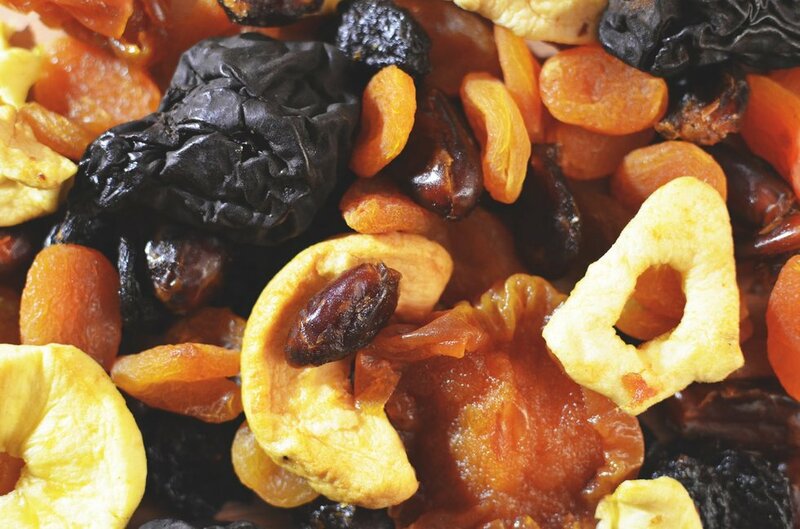 You can find delicious trail mixes that will satisfy your sweet tooth. You can even build certain trail mixes to mimic the taste of your favorite candy bar! Like trail mixes, granola bars can be filled with different delicious ingredients like nuts and berries. However, some can be trying to mimic a candy bar so much that they contain about just as much sugar. So be sure to read the nutritional facts! I suggest looking for bars made with only natural ingredients. If you want a sweet and salty snack, I recommend delicious nut butters like almond butter or sunflower butter on an already salty snack. You can put it on whatever you like, but I recommend sea salt crackers, pretzels and rice cakes. If you are trying to go sugarless, there are many different kinds of sugarless jello! I like to make my jellos with different fruits in them like canned mandarin oranges. I hope these will help you to cut back on sugar while still satisfying your sweet tooth!